Soy is among the most controversial foods, but miso paste is made from fermented soy and is touted as a superfood. In the palo community, legumes (and grains) are excluded from the diet, but most paleo experts and enthusiasts agree that miso, along with other products made from fermented soybeans, are OK to eat in moderation. So how do we explain the disparity? Why are soy products so controversial, and do the health benefits of miso outweigh the potential concerns? Let’s dive in. Miso (translated from Japanese as “fermented beans”) is the product of fermented soybeans, water, fermented grains (called koji), and salt. Koji, the final product of fermented rice, barley, or soy, requires the use of a fungus called Aspergillus oryzae, which activates the fermentation process (1). Chinese and Japanese cooking often require a number fermented soy products, including soy sauce, tempeh, natto (a slimy fermented bean side dish), and, of course, miso. All are fermented with koji. Chances are, if you’ve ever eaten Asian food, you’ve consumed koji. There are a number of different types of miso, each with its own attributes that contribute different elements to Asian dishes, especially Japanese cuisine. They all have roughly similar health benefits, which we’ll go over in a separate section, and they all impart a savory (or umami) flavor to the final dish. Fermentation time and ingredients (type of grain fermented) are the main factors in distinguishing the various types of miso. All miso contains fermented soybeans, but the ratio of soy to grain, type of grain, and fermentation time vary from type to type. Kome miso (also known as white miso) is made with rice and has the shortest fermentation time (two to six months). It offers the mildest flavor and works great for salad dressings, mayos, and even some desserts! Mugi miso (also known as red or brown miso) is made with barley. It’s fermented for the longest period of time (three to 12 months) and has a rich, very salty flavor. Awase miso (also known as yellow miso) is a mixed miso, made with a combination of barley and rice kogi and has a bit saltier of a flavor than kome. Hatcho or mame miso (also known as black miso) is made exclusively from soy koji and contains no grain at all and ferments for as long or longer than barley miso. For this reason, it’s the strongest in flavor and has a higher protein and lower carbohydrate content (1, 2, 3, 4). As a general rule, dark miso has a longer fermentation time than light miso, is saltier, and offers more umami flavor to a dish. All types of miso pastes are great at adding flavor to soups, sauces, and marinades. Soybeans on a Paleo Diet? As we mentioned earlier, legumes and grains are generally not allowed on the paleo diet, but a quick Google search will reveal that miso and other fermented soy products are permitted. Why is this? To best understand the reasoning behind this strange exception, it’s important to quickly go over why legumes are discouraged in the first place. Beans and grains are both discouraged on the paleo diet, due in large part to their antinutrient content. Phytic acid (or phytate) is considered an antinutrient because it inhibits the absorption of the nutrients found within the food product. Other antinutrients found in beans and grains are protease inhibitors, saponins, and lectins, all of which either inhibit proper nutrient absorption, catalyze cell death, or mess with your blood sugar (5). Not ideal! 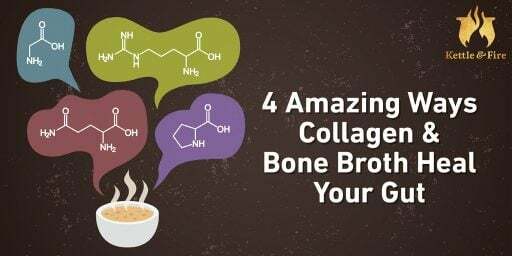 These compounds evolved to increase the viability of beans and grains in nature, ensuring that they don’t sprout prematurely or in the wrong conditions, but in the context of nutrition, they aren’t doing us any favors (6). Soy also contains isoflavones, which mimic estrogen in the body. This is a hot topic of debate, as some research shows that these compounds cause breast cancer in lab animals, while other research show protective effects for breast cancer survivors (7, 8). These findings are exactly contradictory. The science is confusing, but a recent, large-scale study of 6,200 breast cancer survivors showed that over a 10-year period, women who consumed the most soy had the lowest recurrence rates and lowest mortality rates (8). This recent study claims to put to rest the concern over isoflavones, but even if you accept those findings, the antinutrient concerns still remain. The key to being able to eat these foods in moderation and reap the benefits of their nutrient content is fermentation. The fermentation process not only breaks down the vast majority (if not all) of the antinutrients found in legumes and grains, it also unlocks and multiplies the nutrient content. For example, vitamin K, B vitamins, and a number of minerals are not only more bioavailable in fermented foods, but also more plentiful. For this reason, the fermentation process transforms the simple soybean into a powerhouse of bioavailable nutrients (9). We mentioned that salt is a key ingredient in the miso-making process. 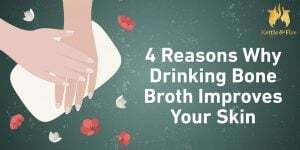 It helps regulate the fermentation process and prevents the mold (Aspergillus oryzae) from growing too quickly, so it’s a critical ingredient. For this reason, miso has a very high salt content, which might raise an eyebrow for healthcare providers. Interestingly, the high salt content of miso has actually been shown to be protective against high blood pressure rather than a risk, as table salt is claimed to be (10). There is also some evidence that soy products lower LDL cholesterol levels, providing a protective benefit against heart disease, but there are also some contradictory studies on this topic (7). We know that fermented foods support a healthy digestive system, contributing beneficial bacteria to the digestive tract, supporting healthy blood sugar levels, and aiding in the digestion of dietary fiber. As a fermented food, miso is a good source of beneficial bacteria, as long as you don’t boil it. Supporting your gut health with a variety of fermented foods is a critical part of the paleo diet, which adds to the list of reasons miso is an exception for paleo dietary guidelines. Soy is a major large-scale American cash crop, accounting for a massive portion of our farmland. The vast majority of soy in this country is grown using GMO beans and industrial chemicals. These chemicals, especially glyphosate, have been shown to wreak havoc on the gut biome and cause harm to human health (10). While most soy grown this way is processed into soybean oil and vegetable protein, it’s important to pay attention to the sourcing if you do decide to add miso into your paleo diet. Choose organic, non-GMO miso. Should You Include Miso in Your Paleo Diet? Now that you have the good, the bad, and the ugly on soybean paste, it’s up to you to decide. Will you add miso into your paleo diet? A simple miso soup with your sashimi meal? Will you use it to marinate meat or fish? Eating miso is a personal choice, but knowing all the facts helps make that choice a bit easier. As long as you’re sourcing your miso from non-GMO, ideally organic soybeans, you’re eating it in moderation, and you’re not cooking it at high temperatures, it seems to be a safe and delicious addition to a paleo diet, and the leaders in that community seem to think so too. Add miso to soup, stir-fry (at the end), and even desserts to enhance the umami flavor and even offer some pretty exciting health benefits.